Select Biosciences is pleased to present a late breaking session and practicum on regenerative techniques and skin rejuvenation. The key speakers will include active clinicians with long standing experience in cytokine and cell matrix therapy using microneedling introduction techniques. Several live models will be available during the session to allow clinicians to practice and become familiar with the latest microtools and microinjection factors (i.e. cytokines, growth factors, and conditioned media). Dermal filling in the context of regenerative medicine will also be covered in addition to novel injection techniques for small sub-segmental lifting of the face. Seating for this special session will be limited due to physician to patient educational ratio. Injection material, tools, disposables and medications will be provided. Attendees are encouraged to reserve early. Aesthetic and cosmetic use of regenerative materials (i.e. cytokines, PRP and various cell factors) is no longer a trend or fad, but a necessary tool for any active clinician seeking to optimize rejuvenation and anti-aging effects on the skin. As there is a proverbial “ocean” of well marketed therapies available, part of this special session purpose is to disentangle science from hype and marketing. This unique special session will provide both didactic and practical education in the same setting using live-models for attendees to develop advanced regenerative skin knowledge and techniques. 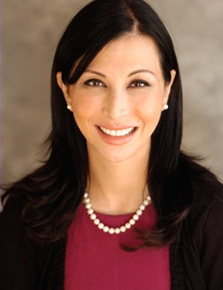 Facial and peri-orbital rejuvenation will be covered by uniquely qualified and highly specialized Dr. Sheila Barbarino, MD, FACS, FAACS who is fellowship trained in Occulo-facial Plastics and Facial Cosmetic Surgery (American Board of Ophthalmology and American Board of Cosmetic Surgery). For the first time, she will share her unique method of non-surgical treatment of under-eye bags and periorbital wrinkles with advance microneedling and regenerative factor use. Dr. Barbarino will also share a novel injection method for lifting the midface and prejowl sulcus using FDA approved fillers and PRP. A very deep scientific discussion will also be provided by Dr. Ron Shane, PhD, OMD; one of the earliest adopters of novel cytokine matrices and microneedling. He will share his practical insights and “clinical pearls” with attendees. Dr. Ahmed Al -Qahtani, the inventor and founder of AQ Skin Solutions, will also share a detailed lecture on the science of cytokines and protein matrices for cosmetic skin rejuvenation and explain why not all proteins are build the same. A distinguished faculty panel will discuss the combinatorial use of these methods in the context of facial surgery, lasers, LED, FRAXEL, RF technology and chemical peeling. A market review of the latest cell factors and regenerative based skin treatments will also be provided. The session will end with clinical attendees being able to practice hands on using regenerative tools and techniques on live models under the guidance and supervision of teaching faculty. 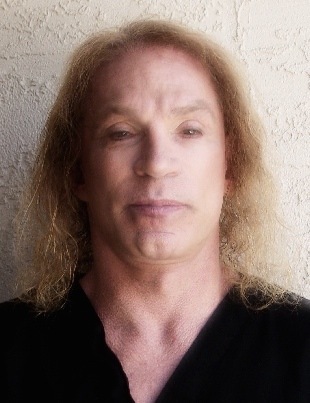 Dr. Ron Shane, Medical and Research Director, Millennia Concepts Biotech, LLC and Researcher with American Academy of Anti-aging Medicine will present a session entitled "Regenerative Modulation of the Face and Torso Epidermis with utilization of a Cytokine Matrix from Stem Cell Sources." Many clinical practitioners have attempted to graft various kinds of autologous stem cells into the epidermal and dermal complex with transitory mild efficacy. Dr. Shane’s recent studies at the Burnham Institute and Texas A&M both in culture and in the mouse model have demonstrated that the systemic interventions employing Cytokine configurations from stem cells amelioratively remodel the transcription activities of the genome where older treated phenotypes became significantly more related to younger untreated mice in terms of their overall gene expression profile. Currently, it is possible with a roller like device to take a high concentration of cytokines from stem cell sources either embryonic or umbilical cord, and propitiously titrate the facial and torso epidermis and dermis. There are clinical studies underway to demonstrate rejuvenative effectiveness of this non-invasive aesthetic therapy. Certificates of training for this session will be available on request. This session will also be open to both experienced and inexperienced clinicians. Medspa aestheticians and ancillary staff are also highly encouraged to participate in this ground breaking “reveal all” session.